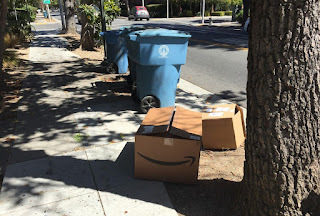 See the past blog entry, "The Amazon second headquarters "****show": Part 1 | Where could it go?" Sadly, Baltimore and Detroit didn't make the list, and landing this "whale" would have been an economic game changer for those communities. Although Newark is on the list, and Philadelphia. 1. Economic nationalism. While Toronto makes a great argument, and national health insurance means huge savings for companies in Canada, I think that were Amazon to locate a new headquarters outside the US they would invite serious attacks from the current administration/federal government, especially because Amazon's founder owns the Washington Post, which President Trump sees as an opponent. 2. The cost of housing for employees. Many of the cities making the cut--Boston, DC/Northern Virginia/Montgomery County, New York City--have high housing costs and a small increase in demand could make an already frothy market that much more turbulent comparable to what is happening in Seattle and San Francisco now. Since part of the reason for Amazon to build a second headquarters is to provide employees with more reasonably priced housing options, I can't see a high housing cost city being chosen in the end. 3. Proximity to higher education institutions with leading programs in information technology, engineering, and business. To be honest, I think that dings the DC area, Indianapolis, and Nashville. It should make us appreciate former Mayor Bloomberg's initiative to create a world-class engineering and technology graduate school in New York City to better develop and attract business ("New York's Silicon Alley Is (Still) No Match for Silicon Valley," Bloomberg). 4. Transit/Urbanism/Placemaking/Quality of Life. I would think this factor would eliminate cities like Dallas and Atlanta and Denver, although they have transit systems. And even Northern Virginia because the sites proposed to Amazon aren't "close in" to the center, but more distant locations that would be termed suburban, almost exurban. Not sure how to handicap Los Angeles. It's cool, but the housing market has rebounded and Western Los Angeles City and County doesn't have low cost housing. I think it might give Montgomery County, Maryland a boost because of the ability to do some large developments along the Red Line, even to extend the Green Line out New Hampshire Avenue as I've suggested in the past. There's enough room around the FDA campus there, but it isn't particularly dense and urban. WRT DC's bid ("DC discloses part of the Amazon HQ2 incentive package," Washington Business Journal, I was surprised to see such a huge incentive offered for each "veteran" to be employed. I don't see why that would matter that much to DC specifically, compared to supporting DC business development and employment of residents. WRT the likelihood of DC not being picked, I hope it will spur the city to take a deeper, harder look at the necessary antecedents for economic development and diversifying the local economy beyond its dependence on the federal government. I think it means looking at DC's higher education institutions and figuring out how to up their game, along the lines of what Mayor Bloomberg started in NYC, collecting and publishing metrics on businesses developed out of DC universities and local research, etc. See the past blog entry "Better leveraging higher education institutions in cities and counties: Greensboro; Spokane; Mesa; Phoenix; Montgomery County, Maryland; Washington, DC." Where's the Catholic U research park? Along those lines, for more than a decade Catholic U has talked about creating a research park adjacent to their campus and they haven't done much of anything. See the past blog entry, "Naturally occurring innovation districts | Technology districts and the tech sector". Meanwhile, UMBC's business incubator keeps on generating new businesses ("UMBC eyes major expansion at research and technology park," Technical.ly Baltimore; "15 companies graduate from UMBC's bwtech, ready to grow on their own," Baltimore Business Journal). Montgomery County, Maryland. For all the hand-wringing about Montgomery County's competitiveness vis-à-vis Northern Virginia ("Montgomery County's real economic development problem: it's not part of the military economy," 2011 blog entry), Maryland's supposedly faulty business climate, and just announced decision of Discovery Channel to leave Silver Spring for New York City ("Discovery’s departure is ‘shot across the bow’ for Silver Spring, state and region," Washington Post) it says a lot that Montgomery County is a finalist. My own belief: go for it. It's worth aiming to recruit Amazon and to spend a fair amount of incentives to do it. But recognize there will be some negative impacts to go along with the good. See e.g., "Amazon has brought benefits - and disruption - to Seattle," AP and "How Amazon's Nonstop Growth Is Creating A Brand-New Seattle," Fast Company. If you believe Fuller et al that federal hiring isn't coming back, I'd say the addition (over maybe 5 years) of amazon workers ins't going to overheat the DC market. I'd say the problem is less overheating and more what you get. My brother bought a place in Seattle (ok, a suburb but next door) with lakefront access, a guest house, landscaping and a hot tub for under $1M. Try that in the DC area. Likewise you can bag on Miami prices but you get a hell of a lot more for the dollar. So I'd say the housing price isn't really the barrier. If it triggers more SFH being built in the suburbs that would easily balance out. And I wouldn't read MoCo being included in such an expansive way. I'd say that Amazon is interesting in the DC area, and just picked all 3. The screen here was clearly they want a strong market area. The negatives of MoCo still exist. Again find me that house in Potomac for under 3 million. In terms of higher education, yes, DC area at a huge disadvantage which is why they included the "amazon university" workforce training. Of course what is really needed is DC committing to a separate blue line to service the campus in Shaw. Or at least a guarantee line to DCA. I still don't think it will happen, but within the region I think Crystal City could be the best option and most potentially transformative. One landlord/seller, ready-made fixer-upper move-in ready city. They can occupy existing buildings, then start renovating/redeveloping block by block. Is Crystal City one of the places on the list? WRT MoCo, I was at a meeting on the Purple Line last night and it was intimated that the area in MoCo offered was White Flint/I-270 Corridor. charlie -- I think we're talking about two different things. yes, in Greater Seattle you can get lakefront property etc., but you get what you get. In other words, to channel Donald Rumsfield (or what I frustratingly said to a vendor at a meeting for Eastern Market, "you have the market you have, stop wishing for the demographics of the suburbs and large family households, you're on Capitol Hill) you have the market you have. I am not so sure Fuller is right, but may be depending on how good the Democrats are at articulating a new civic and federal vision (don't have my hopes on this...) eventually people might understand that what they call the swamp other than the lobbyists, is produced by the choices they make back home, and that you need govt. to maintain functions and basic functions in a complex and interdependent world. Still, a marginal increase in demand by people who have comparatively a lot of household income, in a market with limited supply, will have extranormal impact on the housing market. You might not be able to live on a lake, but the house is still going to cost at least $1 million. Again, the average income doesn't drive the market, the highest income households do. My point is just that if government hiring continues to be stagnant, adding 50K private sector jobs isn't going to destroy the market here. On prices, yes we are talking about two different things here, but it is a key difference. As I say the scandal in DC isn't that prices are high - it is what the price gets you compared to other cities. In fact, when the supply arguments make their point it isn't about price at all -- it is about what you get. Again compare Miami -- which is NOT supply constrained at all; at 2500 you are getting multiple pools, luxury spa, etc at rental price points. Far far better than DC, where 1900 can get you a city efficiency, a window AC unit, no laundry, no dishwashers, and a mini fridge. And barely functioning plumbing. Quality of housing doesn't show up when you do an "affordability" matrix, but when corporate types think about this they are very aware of it. Given that the entire point of this exercise is amazon doesn't want to pay white collar workers more, I'd say it is critical. Good luck convincing amazon workers to send their kids to DCPS. That is another 30K a year. DCPS no, but probably willing wrt charter schools. That's what most people with "choice" seem to be doing (of the 7 school age kids on my block, 5 go to LAMB, the other two private religious; and we are two blocks from Capital City PCS too). But your basic point is the most important, Amazon's prime motivation is not wanting white collar wages to get too high. I'd think that would eliminate the major strong market cities because the competition for those employees is already high. E.g., Boston! between biotech, the big universities, and other tech, the competition must already be quite big, let alone the cost and competition for space, and the cost of housing. OK lakes not a good example. You are still getting a lot more in Seattle than you get in DC. What is interesting is how Amazon as a company is very interested in the urban form (contra Google, Facebook and Apple). like with the criticism of Twitter, Salesforce, etc. in SF, these companies ought to be lauded for shifting the argument from suburban business locations to the cities and at least suburban conurbations. But instead it's all about how they are f*ing the places up, driving up prices. It's a two edged sword to be sure. wrt handicapping. If it's wages and cost of housing, it would break out differently. e.g., Boston becomes like Silicon Valley in terms of the cost of housing and wages and competition for employees. But it's not like I am on retainer. The quote that Amazon wants to be a web service company and be located in Fairfax is a good one. I knew this but wasn't giving it much weight. This is the building they are going in. Reston would probably tick some of their "urban" boxes. I feel like the DC region has the edge. Three of the 20 are your area. NYC is second with Newark and NYC. Both have lots of local clients. Bezos has houses in both cities. And recruiting should be good. There was an article at Slate about the impact of hiring in how places like Pittsburgh and Detroit were never going to make it as they just don't have enough college educated workers. I think for Pittsburgh, Amazon would have to hire something like 1/10 college education workers in the area. GWU has a really strong CS program. Virginia Tech and UVA do well too and thats definitely within the recruitment zone. They will want to create partnerships with local universities. Howard too has a strong CS program that is working with all the big tech companies, but especially Google, to fix the diversity pipeline issues and help with recruiting. I doubt they will go out as far Reston as that doesn't fit their goals for transportation and doesn't really fit how they've built their spaces in Seattle. Reston is great for recruiting older executives and probably some more IT type workers. But you're top developers, your product and design people? They aren't going to be in that part of town. Even companies that have a lot of developers in places like Charlotte, like Vanguard, have them all working downtown. It's like how Discovery is consolidating their workhorse developers out in Sterling but their product people will be in the HQ in NYC. If this is truly HQ2, I don't think the appeal to exurbs will be very high. It's a tough one. I'd much rather see incentives go to this or a manufacturing plant than a sports facility. e.g., the Toyota-Mazda new plant in Alabama will get $380 million. Rick Walker offered $3 - $5 billion to Foxconn, which has a bad track record of not following through on announcements. I am not against incentives, but there should be a balance, and it's tough to have a balance given the competition between communities. Speaking of which, I am against incentives for poaching from other jurisdictions. These projects (Amazon, Toyota-Mazda, Foxconn) don't involve poaching, while Mercedes moving their US hq from NJ to GA did/does. The cost-benefit on providing incentives to Amazon is high. But it comes at a cost. Most jurisdictions, unlike DC (and counties in Maryland) don't collect personal income taxes, so that makes such a package more affordable for those communities. ... just was looking at something else from St. Louis and a headline there says that the St. Louis bid (don't know if it was city or county) offered !!!!!!! $7.1 billion. An op ed in the Philly Inquirer by a Councilmember makes the point that the city's automatic 10 year property tax abatement on any new residential property comes at a great cost.